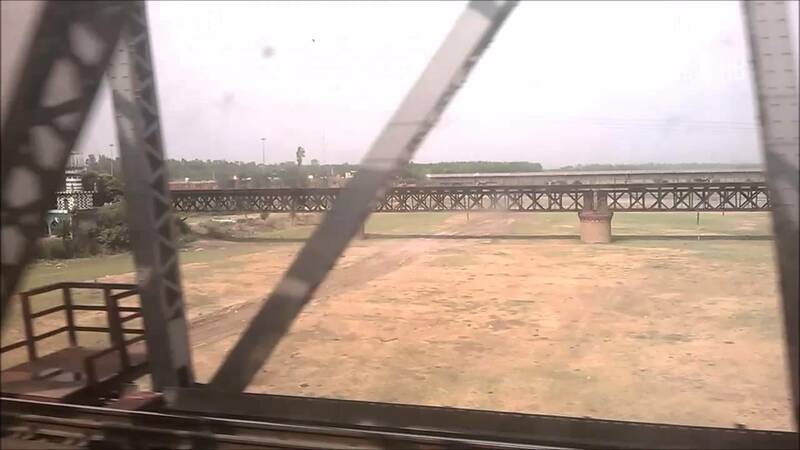 The Single Line Railway Bridge on the Sutlej at Phillaur ( near Ludhiana )sandwiched between the Double Line Railway Bridge upstream and Double Road Road Bridge Down stream , is now , Abandoned . It was built n the year 1870 during the construction of Railway Line in Punjab by Scinde, Punjab - Delhi Railway. This 1870 Bridge changed the way Sutlej was crossed . There were also " Ferry Crossing ) " Beydi s " at the famous Pattan at Phillaur. After 1870 , Ferry Crossing came to an end at Phillaur. The railway bridge was , also used as Road Bridge. Road traffic was closed when ever Trains passed. Some time later , the Double Line Railway Bridge was built ( just upstream of Old Rail / Road Bridge ). As it was a single railway line bridge , road traffic was alternating One Way Traffic ( as were the Old Beas Bridge at GT Road , Beas and old Yamuna Bridge at Kalanaur ( Yamunanagar- Saharanpur ) . This road bridge continued to be operational till early 1970 s when the first new road bridge ( just downstream ) was built ( by Gammon India ). We wish the old 1870 Historical Bridge be preserved as a National Heritage.